This is an introduction to the best available scholarship within Irish politics, featuring the most influential and significant articles which have been published on Irish politics during the past twenty years. Each article is accompanied by a new commentary by another leading scholar which addresses the impact and contribution of the article and discusses how its themes remain crucial today. The book covers all the most important topics within Irish politics including political culture and traditions, political institutions and parties and the peace process. 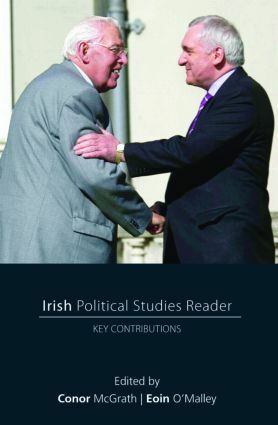 The combination of the best original scholarship and contemporary commentaries on the core political issues makes Irish Political Studies Reader an invaluable resource for all students and scholars of Irish politics. Does Ireland need a new electoral system? The Northern Ireland political process: a viable approach to conflict resolution?